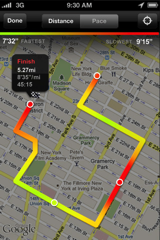 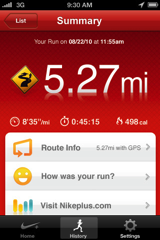 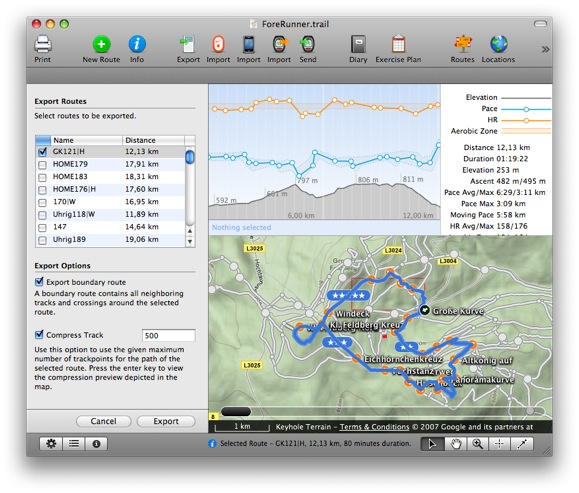 Reminder on how to use GPSBabel to download ForeRunner workouts and send them to TrailRunner. 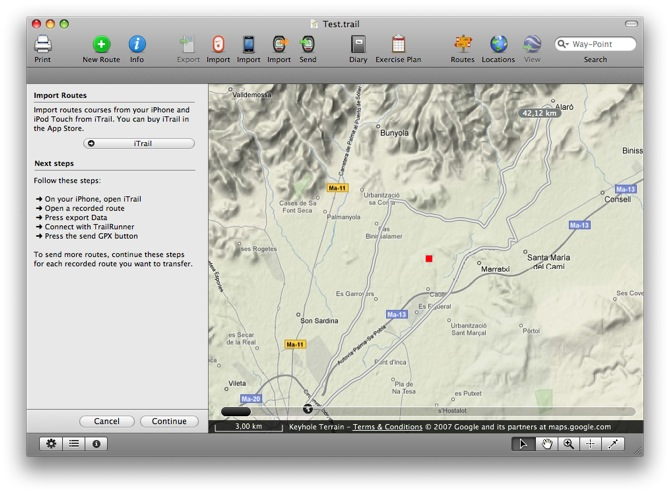 Move the two apps into that folder. 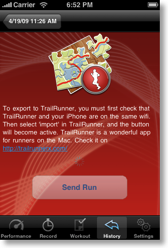 > Connect your ForeRunner with your USB port. 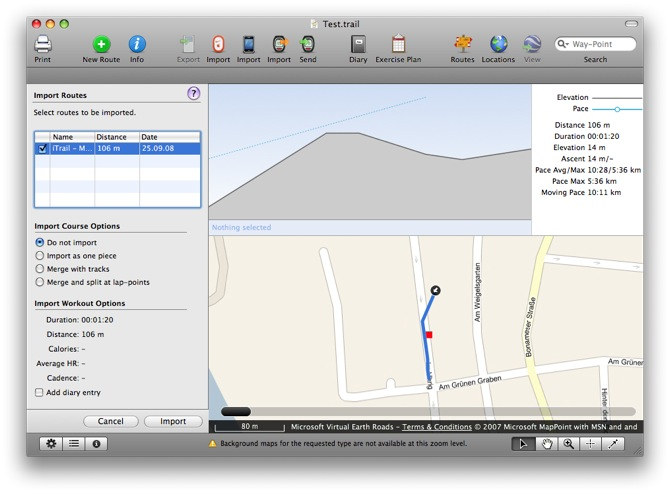 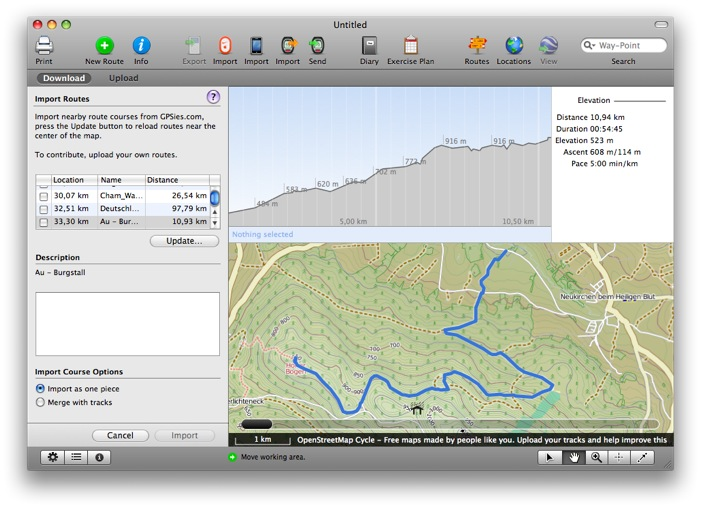 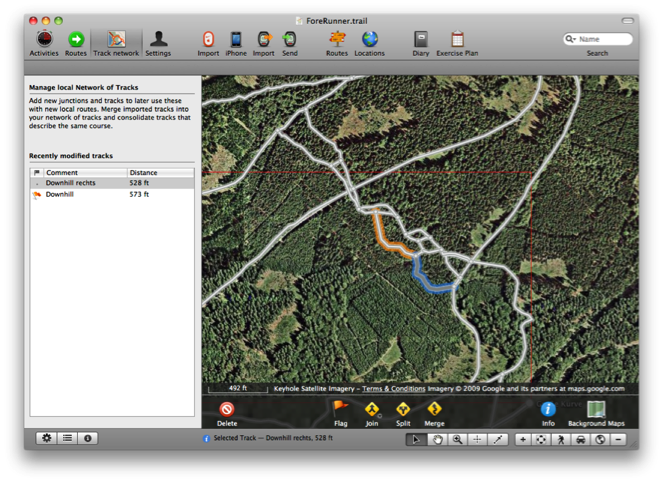 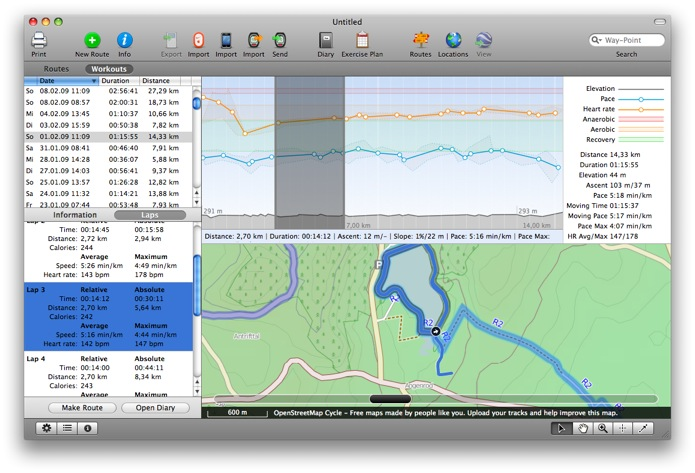 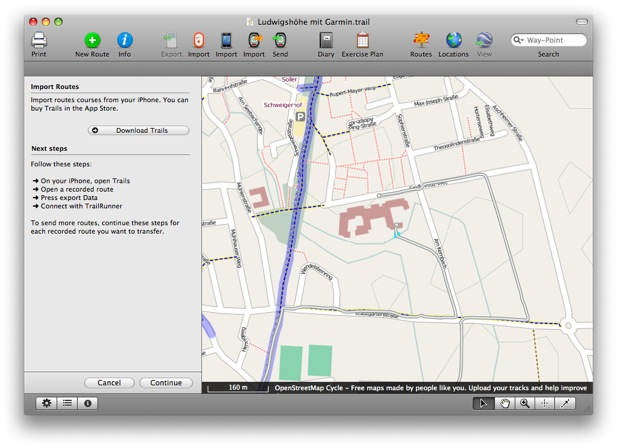 GPSBabel should now download your stored fitness data and open the TrailRunner Workout import. 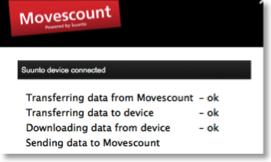 If you get an error message, unplug and pug your ForeRunner with your USB port. 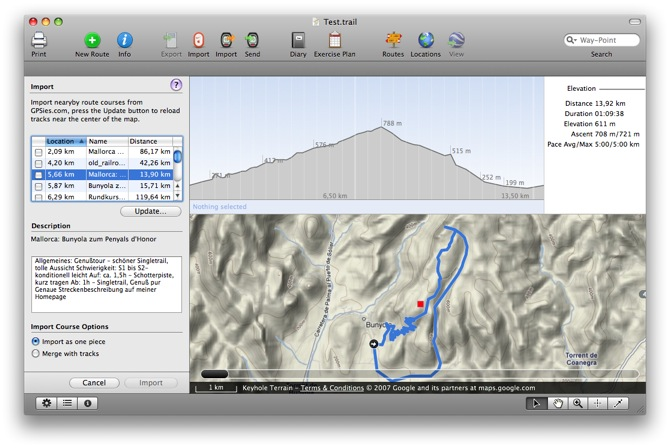 TrailRunner directly and indirectly supports several workout recording devices. 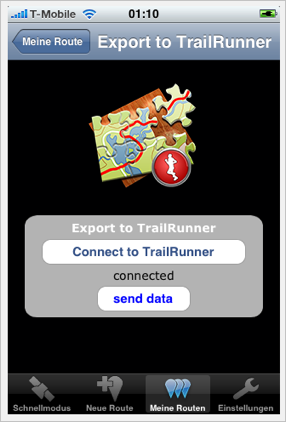 As it’s very time consuming to directly support fitness devices, I decided to interface with dedicated helper applications that do a much better job than I could do on my own. 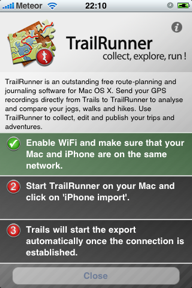 Go to the TrailRunner application preferences to set the synchonisation for your supported fitness device. 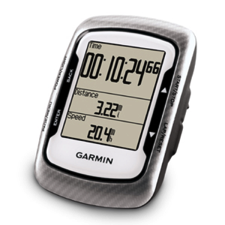 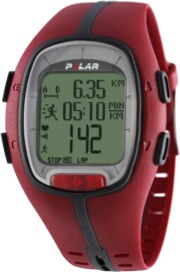 > FAQ Entry on supported fitness devices, GPS receivers and file formats. 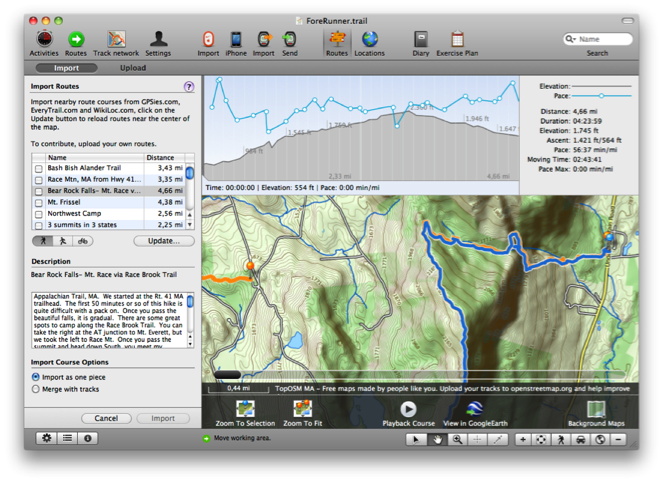 From build 192 on the Polar HRM import will work better but should still be considered as experimental. 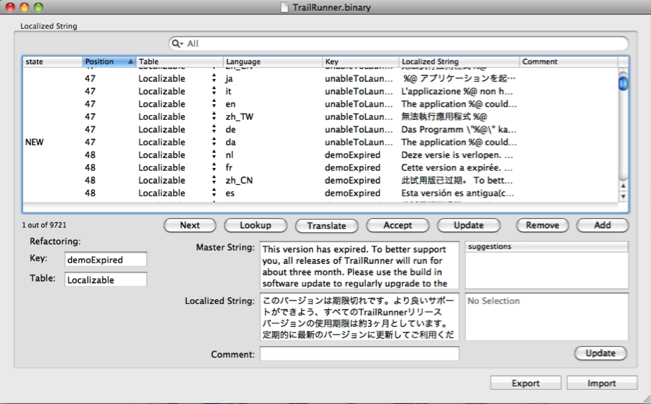 I now import the [IntTimes] block and then, if a [HRData] block is available, merge the additional data in. 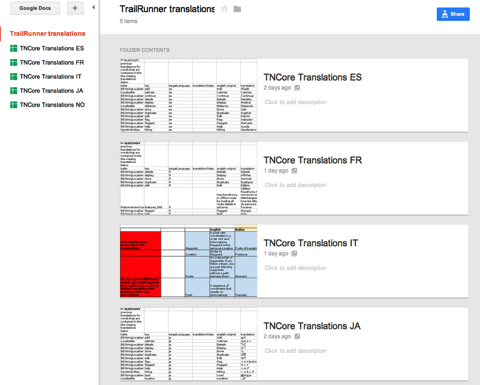 What surprises me is that the data in HRM files are very inconsistent. 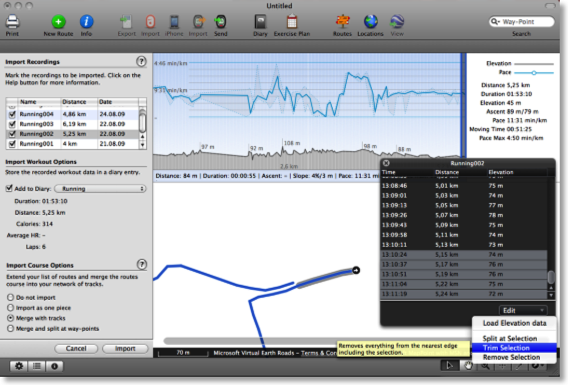 On the one hand in the leading part of the file the workout duration says to be e.g. 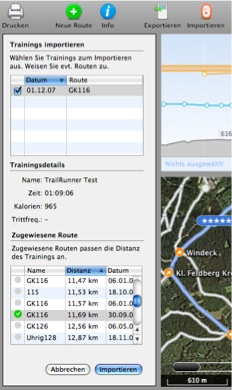 0:41:20.0 but the last Interval ends at 0:44:49.5. 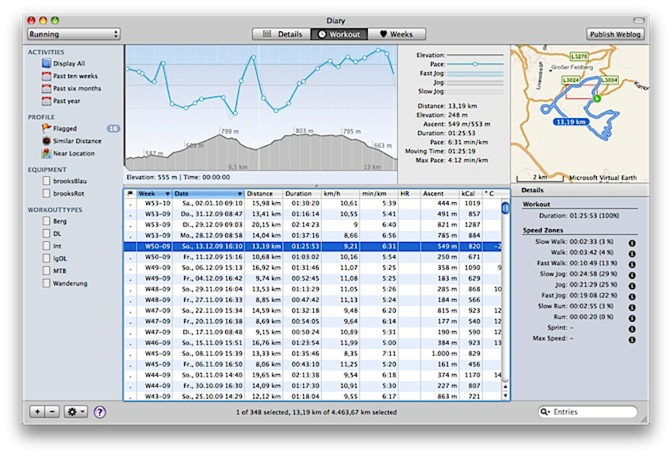 Also if the recording interval is set to every 5 seconds and you multiply the number of [HRData] sets by 5 you also get more seconds than the given workout duration. 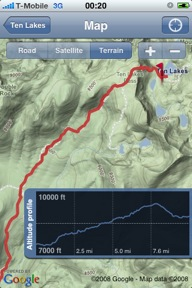 Next, the [Trip] duration is totally off any other values one can accumulate. 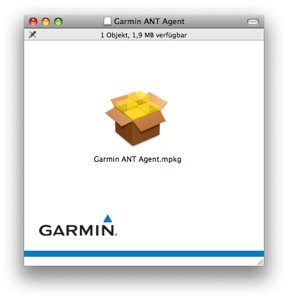 At last, the file doesn't contain calories burned but only your weight and VO2 max. 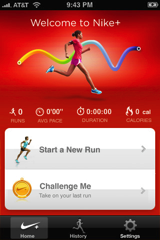 So I have to calculate the calories myself. 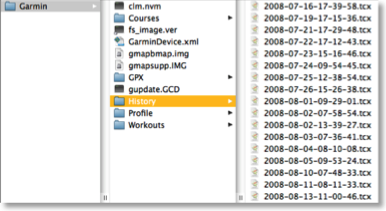 All this means that you will never see identical values for the same data. 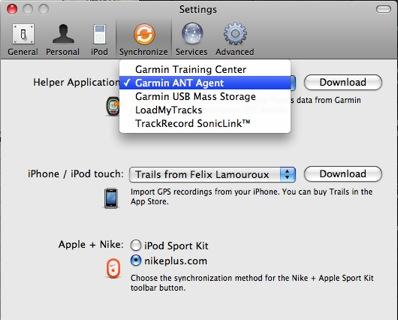 To retrieve HRM files from your watch, try TrackRecord or use some PC Software. 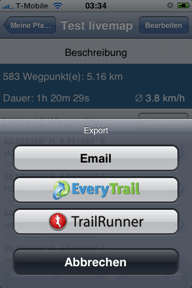 TrailRunner Preferences now has TrackRecord added as a helper application for the import button. 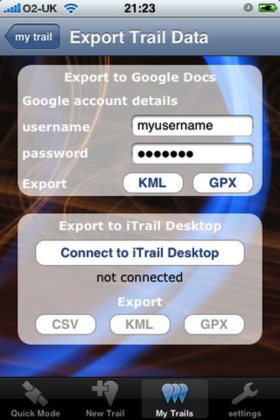 Use Import or drag a HRM file onto the TrailRunner dock icon. 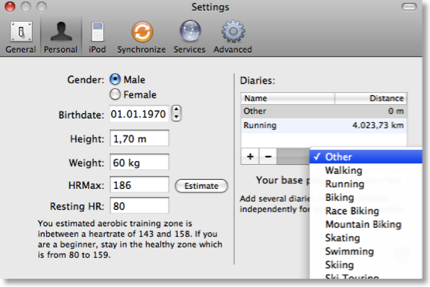 Anyway the workout import pane will open. 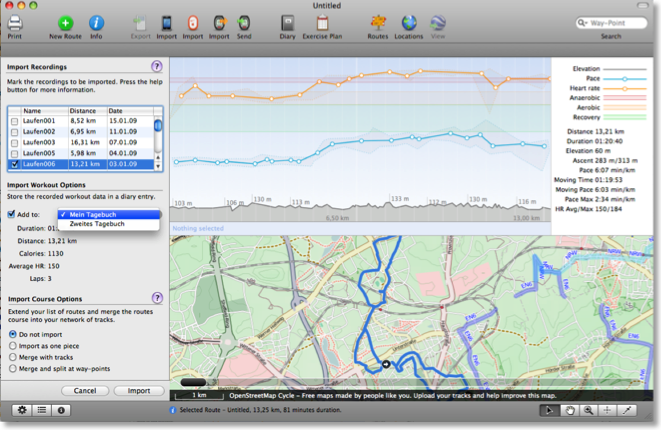 To connect the workout with a route, select one in the routes list and add your workout to the diary like shown in the example below.